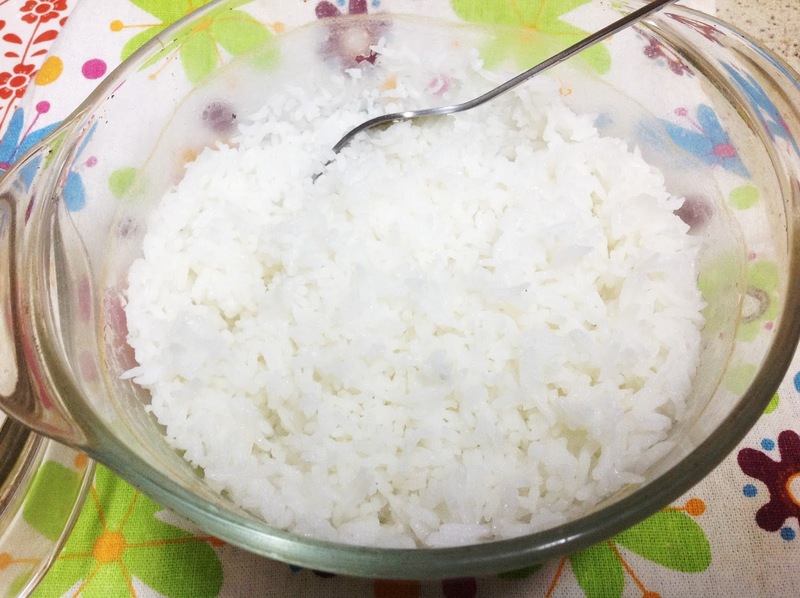 The worst way to cook rice is to boil it in water, then drain. All the nutrients from the rice will be drained away, and the rice texture is disgusting! That's NOT how Asians do it. Like most Asian people, I too have a rice cooker at home. But unlike most Asian people, I don't use it to cook rice. Reason being, this conventional rice cooker that I have, will make rice stick to the bottom of the internal bowl especially when I'm not cooking a lot. The amount of rice wasted being stuck at the bottom is almost the amount of it being eaten. So for years I've been cooking rice on the hob: rinse and strain 1 cup of rice (for two people) into a pan, add 2 cups of water, bring to boil then simmer on medium till water down to level of rice, turn heat of and let stand with lid on for about 10 minutes, fluff with fork then leave again for another 10 minutes, done. One day when I've put the pan of rice with water on the stove, turn the gas on, and within few minutes the gas ran out - horror! I couldn't put the rice back into the pack as I'd already wet it. Out of desperation, I thought I'd give it a try in the oven. After all, what more damage could I have done? I put the oven on 200ºC, placed the rice and water into a glass casserole, lid on, and cooked for 30 minutes. To my greatest surprise, the rice came out perfect. When fluffed through, there's no sogginess at all. So I put the lid back and left it to continue to simmer with its own heat, out of the oven for about 10 to 15 minutes. Now the condensation built up on the lid will flow down on the internal side of the casserole and prevent the rice from getting stuck on the bottom or the side. Fluff again now, and it can be served. That's why my rice cooker is now responsible for soup, stock, stew and congee; as I'm all for oven cooked rice, forever!